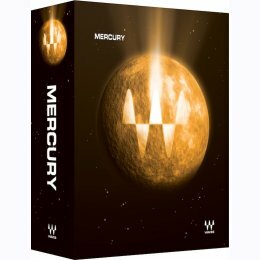 With over 165 stellar plugins and more than 400 components, Mercury features more Waves in one package than ever before! From time-domain effects to equalizers, from dynamics control to noise reduction, from guitar sound modeling to the sound of classic analog components, there has never been such a comprehensive collection as this. The Mercury Collection offers more effects, more channel components, more mixdown tools, more processors than ever before in one place.